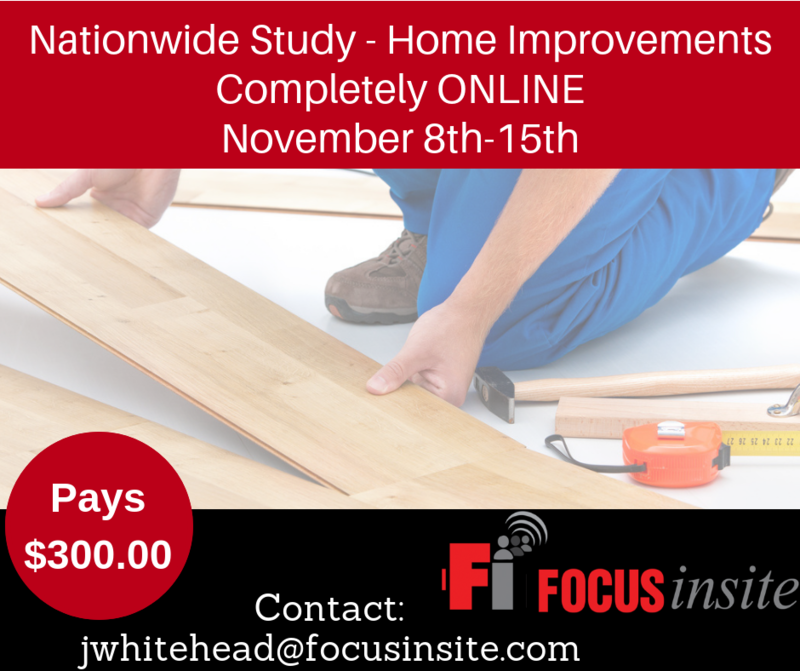 Nationwide ONLINE study on Home Improvements. We are in search of Residential Property Managers, Remodelers, Homebuilders, and flooring installers to take place in a online study, November 8th-15th. For your time you will be paid $300.00.